No vehicle lasts forever, but there are some things you can do to make yours last a lot longer. Extending the lifespan of your car requires an investment in routine maintenance. You should get the tires rotated and the wheels aligned regularly. Also make sure that you routinely invest in oil change and replacement oil filters. This is one of the best things you can do to safeguard your vehicle against everyday wear and tear. It will also keep your car running smoothly and efficiently and will ultimately save you money on costly repair work. 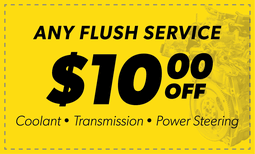 Learn more from the team at Meineke #975 in Bakersfield CA . The good news is that you won’t need to have serious work done to your AC very often. Indeed, most drivers go through just about 15 percent of their refrigerant per year, and other problems happen only after many miles have been accumulated. With that said, preventative maintenance helps you spot potential issues and minimize their impact—so scheduling a routine AC service call at Meineke in Bakersfield CA is recommended.